The Matinee ’18 January 22nd includes 6 new tracks to kick off your week right. We have a nice mix of indie rock/synth pop today that will definitely give you energy for the start of your week. We hope you find your new favorite song or band today. Artists are representing Australia, the UK, and the US today. The trio is keeping their sound straight forward with a refreshing simplicity. 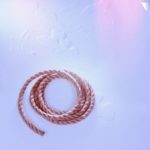 There are no bells and whistles with production or added electronic elements – and those elements are not needed. The vast alt-rock landscape is still in need of true rock bands that provide us with killer guitar licks and melodies we won’t soon forget. 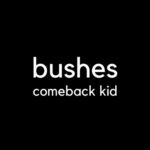 Bushes delivers and with “Comeback Kid” being their debut track, we will be keeping tabs on their future releases. The band has been writing together since 2016. Bushes are comprised of Paul Easton, Andrew Stewart, and Mark Easton. 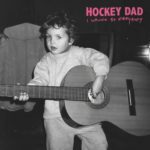 Hockey Dad is back with another new, ear-splitting single with “I Wanna Be Everybody”. It’s an awesome new rocker from the Windang duo. It’s filled with their signature surf-inspired rock with a shot of punk and the gritty and instantly recognizable vocals of Mr. Stephenson. The lyrical content delves into social issues (possible social anxiety) of not fitting in and possibly caring too much what others might think. The key of the song though is that there is always that one friend that gets you, and you can just be you whenever you are with them. Hockey Dad’s new album, Blend Inn, drops February 9th via Kanine Records. Get it on Bandcamp. Hockey Dad is comprised of Zach Stephenson and Billy Fleming. After his previous band dissolved, his solo career is now beginning and the talent of Micky James is evident. So far his formula of creating modern day glam rock is completely successful. We hear a bit of nostalgia in Mr. James’ sound that takes us back to 60s and 70s greats (A bit of Bowie/The Clash influences are evident). The result is a fresh spin on great rock n roll and the emergence of a true talent. Mr. James shares a bit about his debut track: “They say some of your best work or the best songs you write appear from the sky and happen pretty instantaneous….well I feel ‘Give It To Me Straight’ felt like one those songs”. 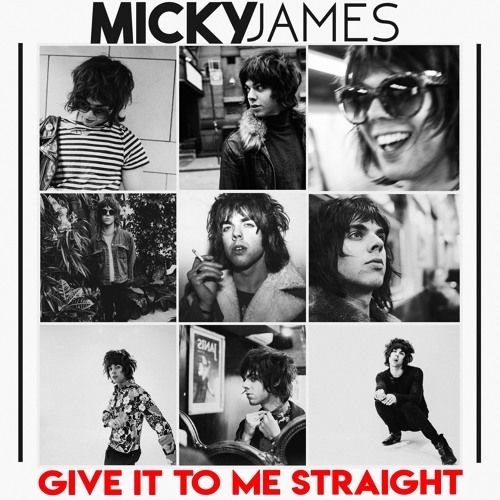 Based on Micky James’ debut track, we may have just heard the first track of a long line of unforgettable rock tunes that could easily push Mr. James into the mainstream. 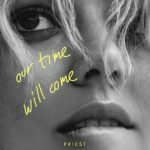 Priest which is comprised of Camille Priest and producer David Kazyk have released another track titled “Our Time Will Come”. It’s another completely upbeat, energizing and enthralling track featuring Camille’s saccharine vocals. The shimmery vibe throughout has us all longing for warmer weather and will be the perfect track once summer makes it’s appearance. It’s also a positive track that speaks to hope and patience as the chorus proclaims: “Hang On, Lean On Me! – You’ll See, Our Time Will Come”. Priest is continuing to evolve with each new track and the completely infectious synth and catchy drum beats on “Our Time Will Come” prove that Camille can capture the darkness, the bright and everything in between and causing the listener to fall in love as a fan all over again. Priest’s new EP, Lost Lions, arrives later this year via Nordic Records. One thing Mobley does do wonderfully is space out his releases and keep his fan base satisfied with sporadic tours and single releases. He is also quite connected with his audience on social media and it shows, as “Tell You” almost has 100k listens in just over a week. “Tell You” is off of Mobley’s forthcoming 2018 project titled Fresh Lies, Vol I.
Tim Myers is one of the founding members of OneRepublic and he has worked with many artists helping write hits (Capital Cities, Hailee Steinfeld, Kesha). 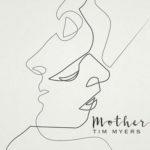 Now Tim Myers is stepping out with a solo career and “Mother” is his newest single release. It’s a completely anthem filled track with beautiful harmonies and a huge sound which is the perfect homage to mothers everywhere. The song is taken from Myers’ album, Portraits.